Since then (and with YOUR help) we’ve been able to antique a ton more temple pics. Click on the image, click again and then right-click and SAVE. I love this it is such a cute idea! Way cute! I am going to have to make a few of these. Thanks for sharing! What a great idea! 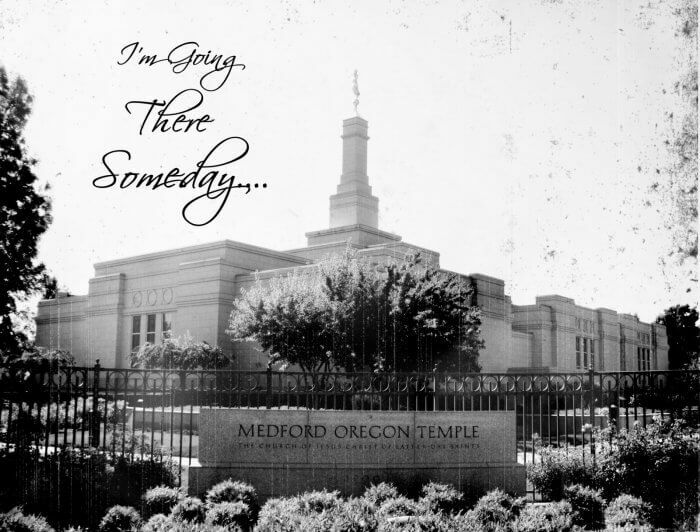 Yours turned our so great – do you know if there are other temples available? So cute! This is INCREDIBLE!! I totally want to make one of these!!! Thanks for the tutorial! I was just called to Young Women! These are so great!! Very cute – Love this! I am stopping by from the 733 link party, I love this idea! VERY cute and attractive especially with the b&w photo. 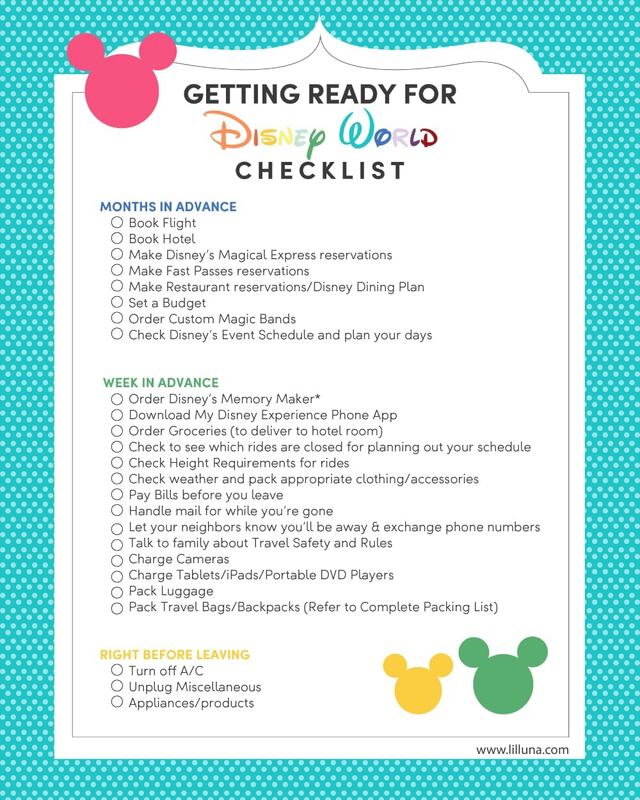 I bookmarked this, I would love to do one similar with some place that my dh and I want to go someday! Thank you for the idea! I saw this on Ucreate, and I LOVE IT!!!! 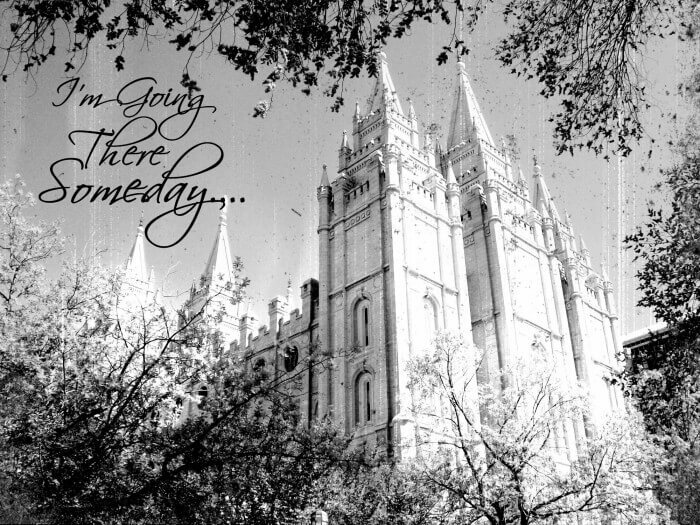 So gorgeous, any chance you're going to add Logan UT Temple? Love, love, love it!!! Thank you for the idea!! I love this! I am now a follower! I'm a follower now & so excited about it! Can't wait to see what you come up with next. LOVE IT! Such a cute project!! I'd love to make these for my YW! I'd love to enter the giveaway! I'm your newest follower!! Love all the rose earrings in your etsy shop! Also love the family vinyl board! I totally love this idea. If I don't win…I will have to get off my duff and make one! I LOVE this project! Thank you so much for sharing it AND your fabulous pictures. I'll be checking back for San Diego. Thanks! Last but not least, I love your headbands in your ETSY shop. I can just imagine how fun these would be on my girls! just became a follower. love it! what fun! popped over to your etsy shop and LOVE the family forever board and the 1" vinyl dots! soo cute!! I am now a follower on blogger and on facebook. Love your stuff! Love, love, love this! Thank you so much for the images, I am going to do this for my daughters for Christmas! I know it's been said before but LOVE IT! I have a daughter turning 12 soon, and I think I'll make one for her. Any plans for pictures of Nauvoo? I just started following you! and would LOVE to do that to some of my own pictures! TOO cute! Thanks for the awesome pics! Such a cute idea! This may sound weird, but are you related to a girl named Lyndsay Call? I live in Mesa and she was in my ward and awhile ago we made these EXACT blocks for our YW's, it was her idea! I'm wondering if you know her or if she got the idea from you? Leave a comment on my blog, http://www.honeybearlane.com. Small world! I am a follower of your blog and followed on Facebook! 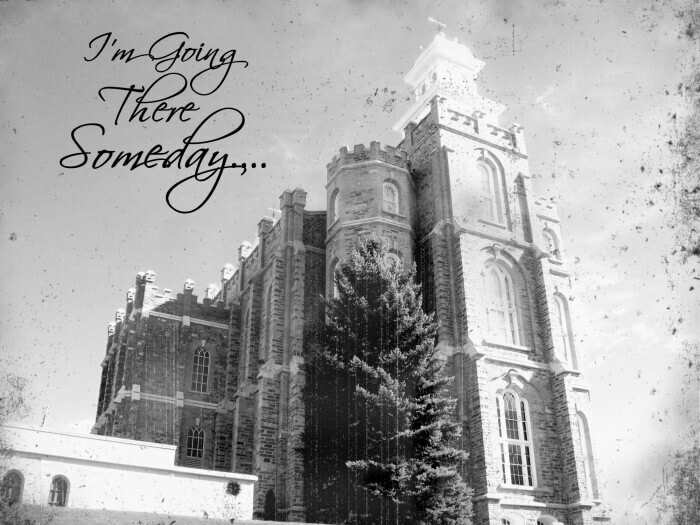 I am just dying to get a temple block of the Denver Temple!! I'm a new follower! 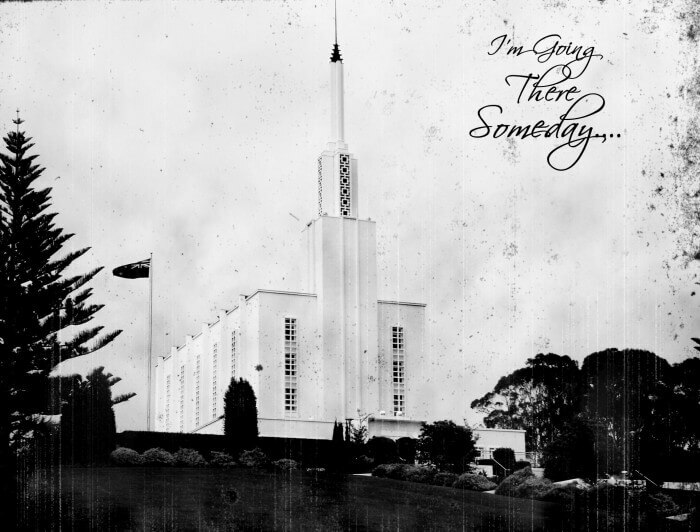 Thanks for the tute on this, if I dont' win, I might have to make one [email protected] Let me know if you get a photo of the Idaho Falls temple, I would LOVE a copy of that one!! these are gorgeous!! is there any way to get these WITHOUT the words? i'd like to make one for a wedding gift but without the words…. fantastic work! Just wanted to say Thank You!!! Such a cute idea. I am now a follower! I am going to browse some of your other ideas. 🙂 Thanks for sharing! Darling!! I love it!! Now following!! I checked out your Etsy shop…love the gray rose earrings so much I bought them! So please enter me for your drawing! Thanks! Another fabulous tutorial!!! Love it. I love the Forever Family board. But I also love that you love black and polka dots! Lets see I am a new follower and loved your stuff. I Liked you on facebook, your blog is really fun, and your very creative. Went over to your Etsy site, I would have to say your Family Forever is my fav. Thanks for sharing. I am looking and starting to think I should have done this more than once…SO I am a FB fan. Your stuff is amazing!!!!! I saw you on ucreate! Just became a follower and liked it on facebook! I am a new follower and I love the lavender cabochon earrings on your ETSY. They remind my of Mom. Those are beautiful! 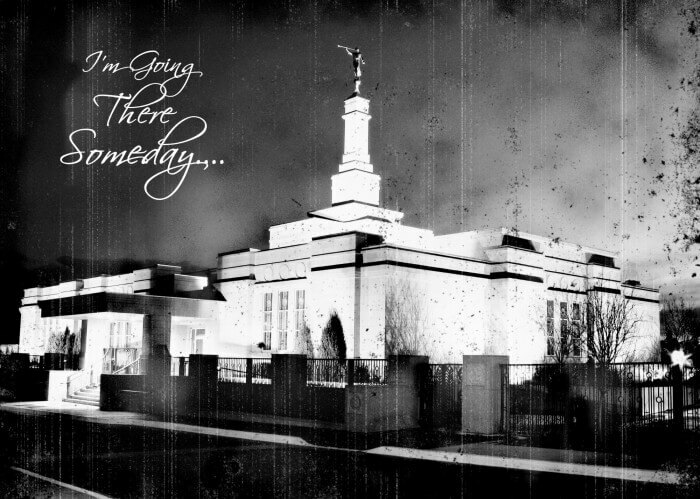 Would you ever consider doing the Cardston Alberta Temple?? 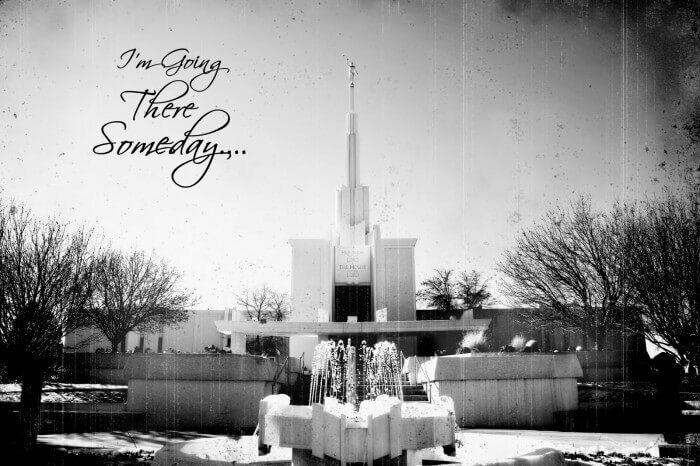 oh i cant wait, i live in Thatcher, so it will be awesome to do the Gila Valley temple. Supa excited, thanks!! I love things like this. Thank for the great idea and the extra help to make it easy for us all! I'm now a follower!! This is sooo cool! 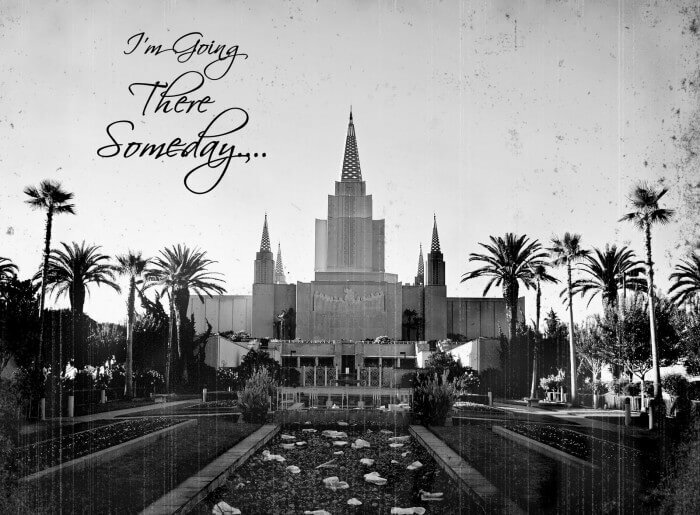 Is there anyway you can find an LA Temple? This would be perfect for my mom, sister, and me (all married in the LA Temple). 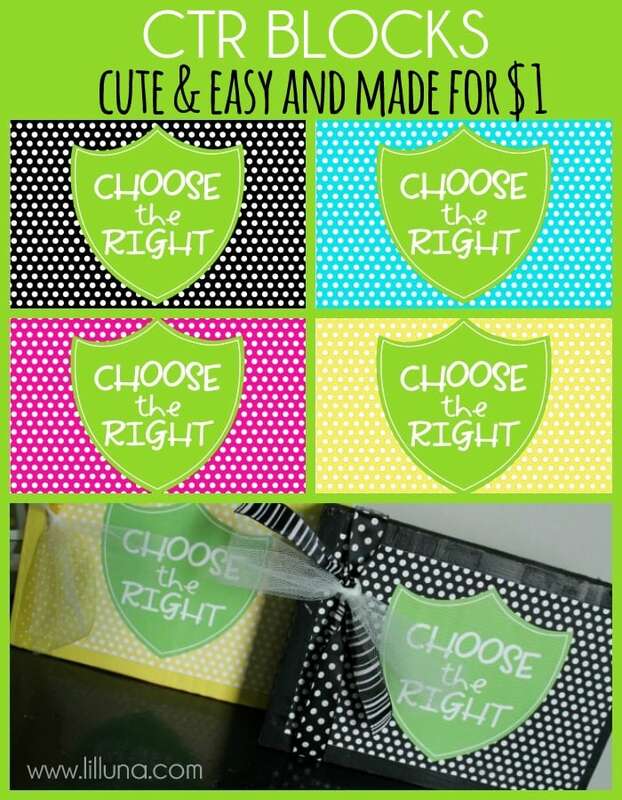 Loved the headbands on esty! liked you on fb! !and i love love the 'SKY BLUE Rose Flower Cabochon Earrings' from your etsy shop. so cute!love the temple blocks!! thanks for the chance! So adorable! 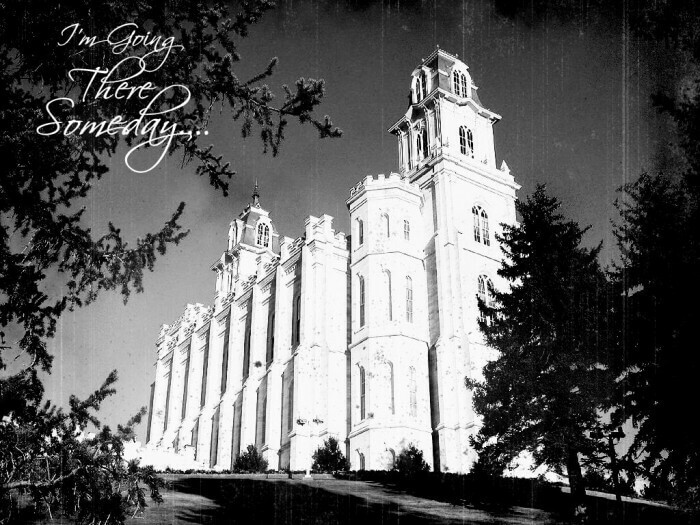 I would like to see the Manti, St. George, and Vernal utah temples! shared this on my blog dear! Any way of adding the Manti temple? I LOVE this idea. Thanks for adding more temples. THis is awesome! Hi there! These are amazing! Thank you and your hubby! I wanted to use these for 30-40 sisters in my ward if that is ok, for an upcoming lesson. I think I would print them out on vista prints' postcards. If you'd rather I don't, please send me an email: [email protected] and I won't. I'll be sure to credit your blog to the ladies. Thanks! This is so great. I love it-I want to make one for my house. By the way just thought I would let you know it's "Columbia River, Washington"
Do you happen to have a picture of the Boise Temple or the Twin Falls temple? I want to make one with my niece. These are great. I love this idea!! You have done a wonderful job with the pictures and texture. 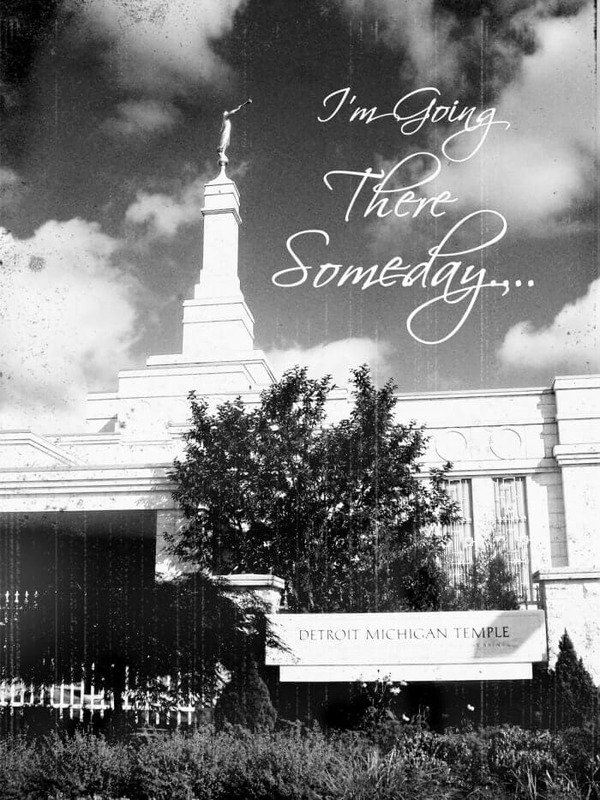 I am wondering if you have the temple pics with out the saying on it. I would love to do it as a craft for RS instead of for the YW. SO darling!! Adorable! I'd like a copy of the picture without the saying for our living room too…. Thanks so MUCH!! Looks like I just found a ton of LDS bloggers through your comments. These are wonderful. We were looking for a craft for YW this week. I am the YW President. Tell hubby thanks, he's the bomb! Lovin it. Cute! hope you don't mind I post about this and your site on my blog today, Thanks for sharing this will make a cute V.T. handout for this month. I am so thankful for talented people like you… I wish to be just like you. 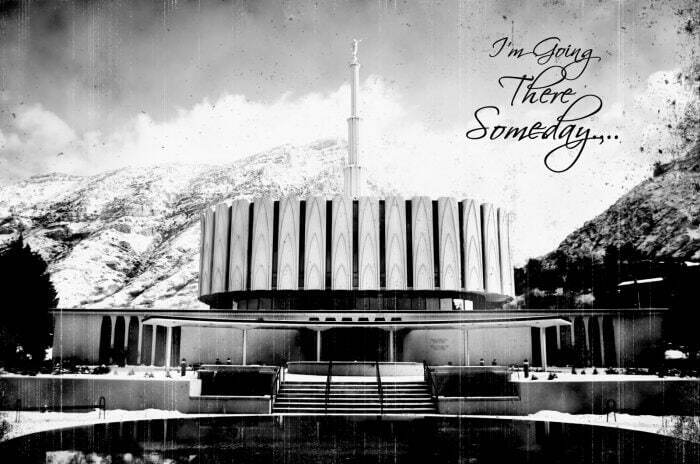 I would love to give this with the VT message this month… do you have a pic of the St.George, UT Temple??? LOVE this! Already have blocks cut out since I love to make picture blocks. So this will be easy now! Thanks for providing pictures of all the different temples! Do you print the picture on actual photo paper? These are absolutely beautiful!!!! 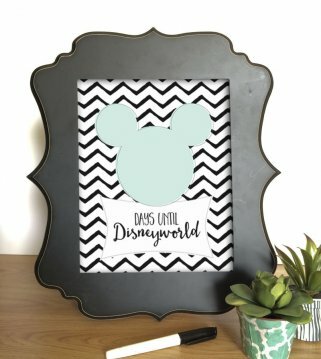 I would adore one for the Orlando temple…we were sealed in 2008 and our children already want to go back when we go to Disney in October!I completed #1, #2, #4, and #5 – I visited your Etsy shop and I love the Family sign and the chore chart equally!! I just LOVE this idea! Would like to use it for our Super Saturday in November. Do you happen to have the Boise Temple? super adorable, love your ideas! where did you get your wood? did you buy it that size or have to cut it at home? What a great idea!Thanks for the chance to win! I will be following you and join your fb page! Thank you! 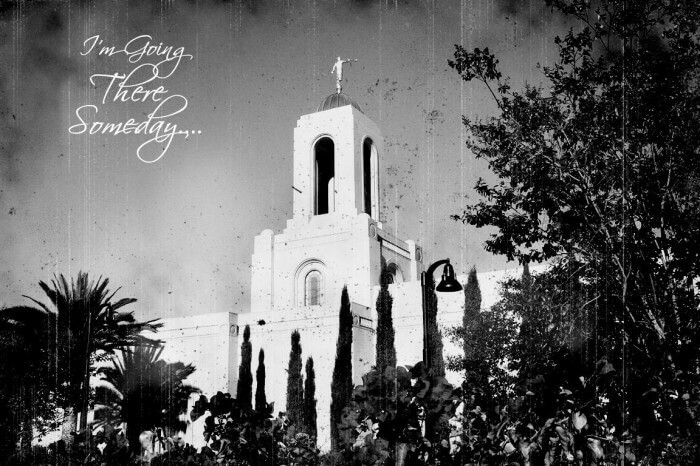 The Fresno Temple picture looks great!! I am going to make these for the sisters I Visit Teach! What a great idea! I would LOVE it if you had the Las Vegas or Reno temple! What a great idea. Something to use for Young Women's or even Primary children, or just a unique gift to give. Especially for a Baptism. Thanks for sharing. Awesome! Thanks for sharing!! I'll have to go take a picture of the Houston Temple now so I can try this! maybe I'll attach some ribbon on the back too for hanging in my little girl's room. yay! I love your blog and this idea. Can't wait to try it! 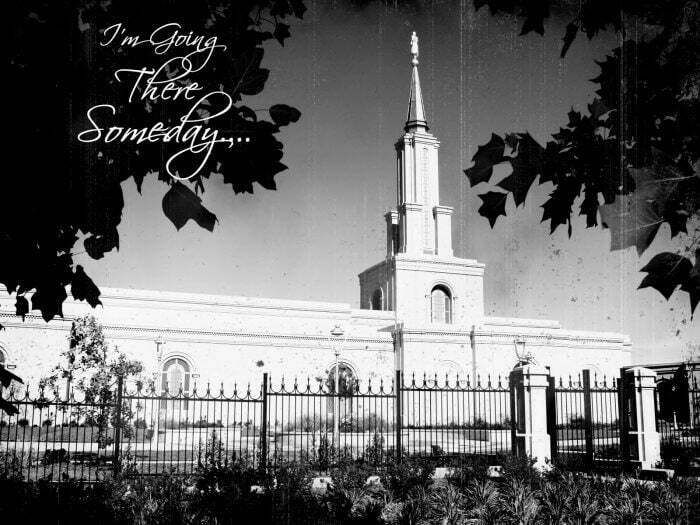 Just a side note…the picture you have labeled as the Idaho Falls temple isn't the right one. 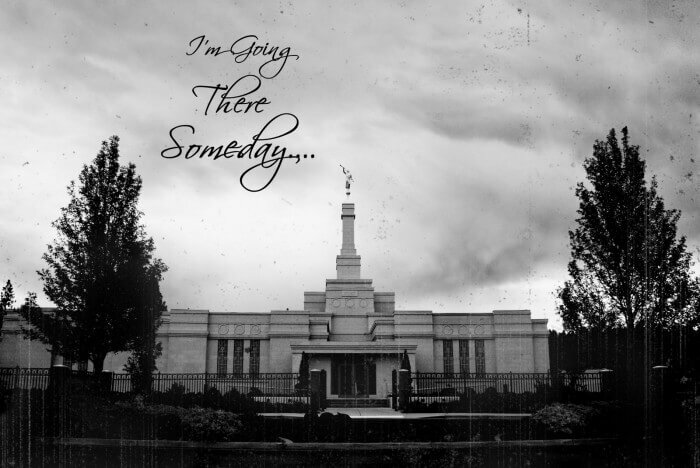 The picture looks like the back side of either the Rexburg or Twin Falls temple. 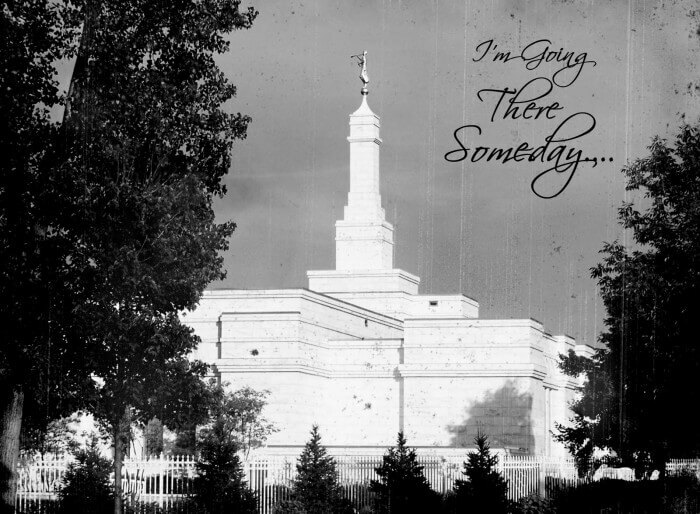 Here's a link to what the Idaho Falls temple looks like. 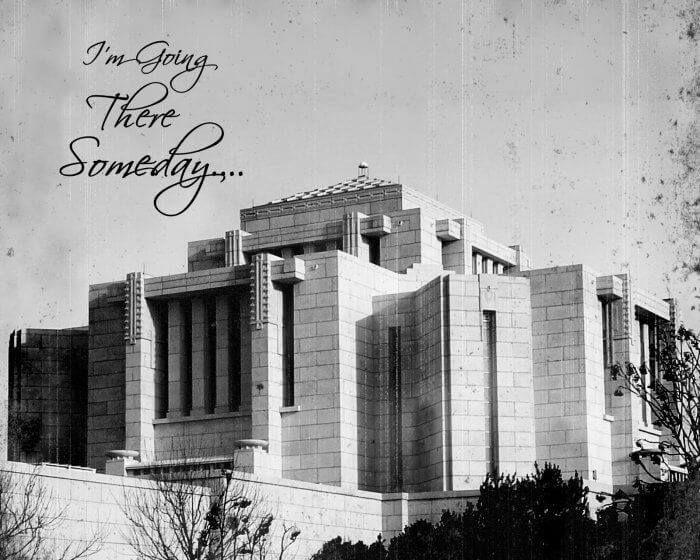 http://lds.org/temples/main/0,11204,1912-1-44-2,00.htmlThanks! Love the idea! I tried making these with my YW tonight and they were totally messed up! When we put thd Mod Podge on they started turning purple and green! From the ink? I printing them off of my printer like you said. How do you make them without them doing that? This is so beautiful! Thank you for creating it and making it so accessible. I'm going to use it for my Activity Day girls! It's fabulous!! I am doing this for a Relief Society activity and it is a big hit. There are usually about 25 sisters that come to my activities but for this one we have had over 200 temple blocks ordered! It is great — thanks so much for a wonderful craft! Thank you thank you for sharing these! One question for you….can I blow them up bigger than a 4×6? I am thinking of hanging one on my wall. I just love this idea!!! I am in the YW Presidency and I am going to do this for my YW Christmas Gifts. I am going to figure out each of their favorites temple and do them. THANKS for the great idea!!! Oh my goodness! I love these temple blocks! I did all of the entries, your shope is too cute as well (the subway art is my favorite), I would love a Dallas, Texas temple one (thats the one we got married in) but I will totally go for the Vegas on cause that is the husbands favorite! Love your blog, I am glad I am now a follower! LOVE this craft! I just made them for my laurels as a christmas gift. I also sent the link to my friend who is a yw prez and she is going to be making them as well! Thanks for sharing! Thanks for the great idea and the fantastic images! I'm going to use them to make scrabble tile necklaces with the young women! gonna do this for my kids rooms. Thanks so much for sharing. Love your blog. Check out mine: hotpinkpansy.com and primarilylds.blogspot.com. 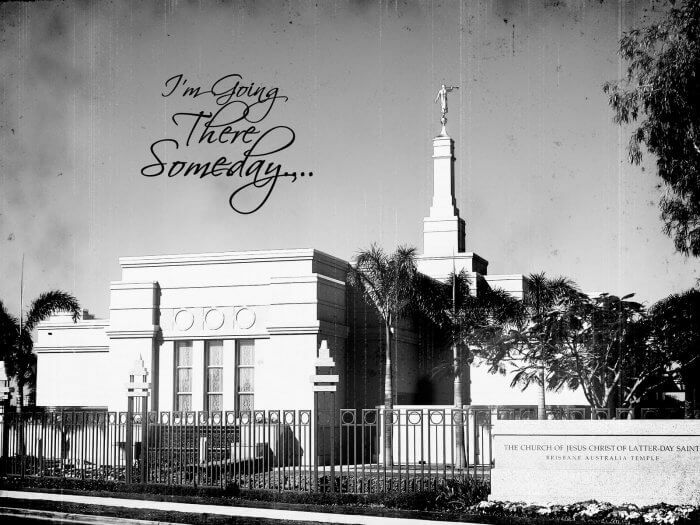 By any chance do you have a picture of the temple in Samoa? I'm so happy I could cry! We're going to do this for super Sat and I thought I'd have to do all the work… then I found this link and I'm in heaven… THANK YOU, THANK YOU, THANK YOU! QUESTION: I would love to get the Salt Lake pic developed into a large wall pic. Will it work ok to just use one of these, or do I need to do anything special to the file for it to turn out well? II’m wondering the same thing. Did you ever figure it out? Love these blocks! 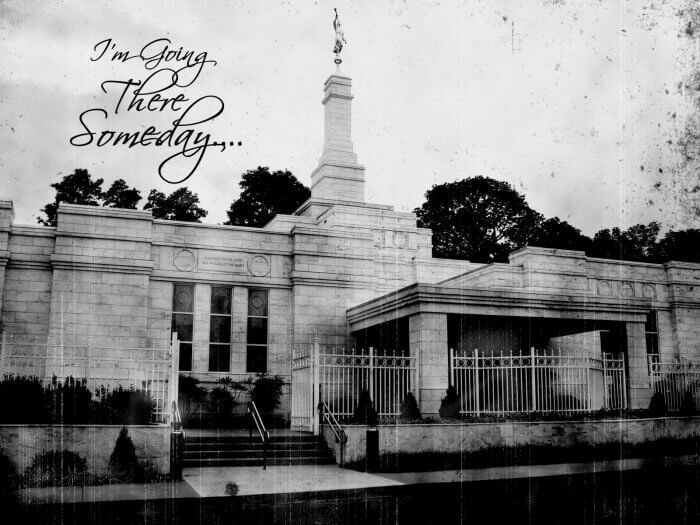 I am looking for the Ukraine temple to send to my daughter for a member in Russia if anyone can help? Thank you! I just made 10 of these to give to my YW and they turned out SO cute. Thanks!!! My daughter just came home from camp with one of these temple blocks and I instantly knew where I had seen them. I had them on my to do list and now I want to make them even more! Love the temple additions. My sister has a temple block like this, and I wanted to copy it for my baby's room. I found this tutorial online and really love it! Thanks for the instructions and images!! I'll be checking your blog for more cute, fun ideas. Thank you for taking so much time to make these prints and offering them for free. I've been looking for a craft that we could do for an activity at no charge, and I think this would be perfect. This is so very much appreciated! This is FANTASTIC! Thanks so much. And 1 question- do you have any idea how to "Texture" the picture after its m'podged on the wood? Would love to see the Houston, TX Temple on there. I would like to make these for my kiddos. What a great idea and tutorial!! Thanks for sharing!! I cannot WAIT to try this out for our October Super Saturday Activity! I get to make a few this week for our samples to show this Sunday! Thank you for sharing all of these pictures! I absolutely love this and will definitely find a reason to make this craft! THANK YOU! I am so excited to find these pictures. I am making one for my home! Thank you and your husband so much! My brother and SIL and their daughter were just sealed in the ATL temple, so I'm very excited to see it on there! I spy a Christmas gift!! Thank you so much! This is just awesome! This is such a great idea! What font did you use for the text on the picture? I'd like to use it for a non-antiqued picture! 🙂 Thanks! These are amazing! I've been wanting to put a picture of the temple in my daughter's room and I was hoping you had the San Diego or Bountiful temple and you had both! Now I have to choose… Or maybe I'll just do both. 🙂 Thanks for the prints! Love these, thanks for posting them. Love your stuff! I am in LOVE with the pictures. A friend passed your blog on to me because we are doing this very thing in my Ward. Actually I'm in charge of it and have been scouring the net for pics. I have a question… we are making our pics 12×16 . When I tried to download to the Sam's site it said the resolution wasn't recommended. Can you help with this? I got what you specify, thanks for swing up. Woh I am gladsome to encounter this website through google. 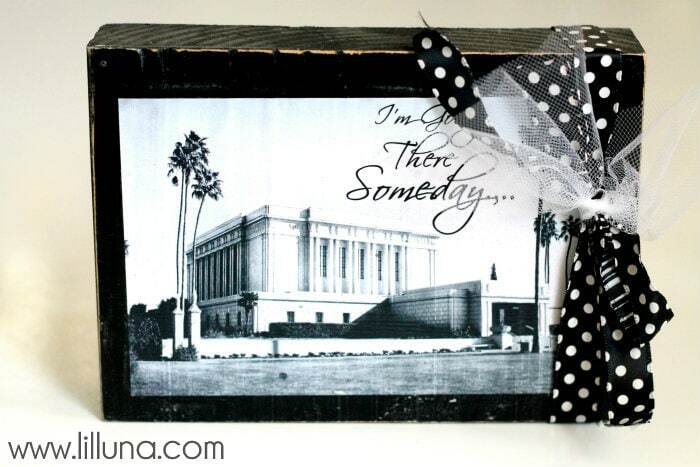 Thanks For Share Tutorial Tuesday – Temple Block “I’m Going There Someday” Lil' Luna. I love this! I wanted the font and found one on Dafont.com called Scriptina that looks like it is the same. Thank you for the great idea. I’m making these for Christmas presents. Hi! What a gorgeous craft. I’m hoping to do these as Christmas gifts for people who have been married in the temple. Do you have the pics without the wording? I’m hoping for Salt Lake, Jordan River, and Timpanogos temples. Thanks in advance! 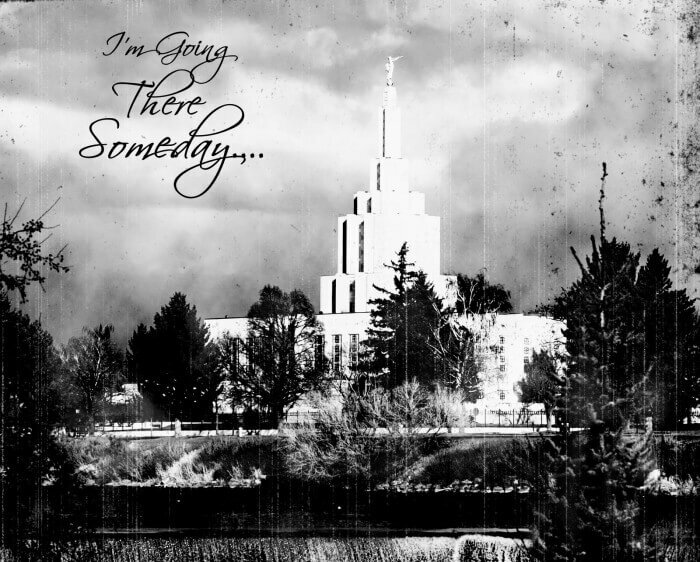 When I save the Medford, OR; Rexburg, ID; and Spokane, WA; temples to my computer ….. it won’t let me open them. Is there a trick to this? All the other ones that I have saved work just fine. I am 1st Counselor in YW and we are going to make these Temple Blocks for the YW for their birthdays in 2012. THANK you for sharing! 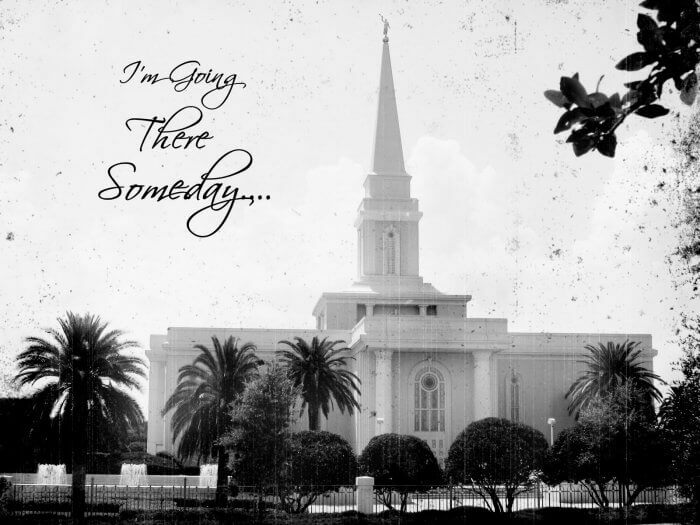 I am looking for the Fort Lauderdale Temple and also Logan – please let me know if you could possibly do these two! just happened upon this post via pinterest. this is awesome! i’m so glad i found it. and your blog too! thank you!!! will repin for all my friends, they’ll love it. Thanks so much for this tutorial. We’re going to make these for the YW for their birthdays this year. 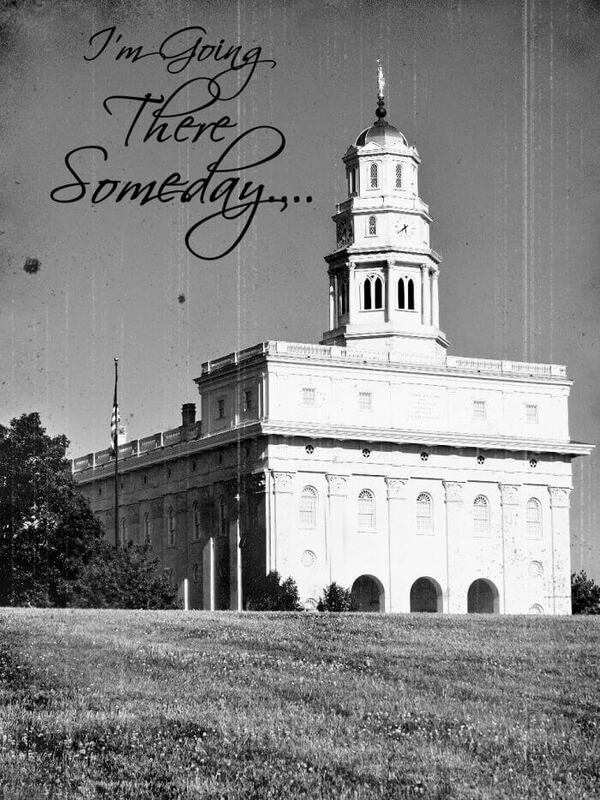 I actually made them vertical because out of all the pics we had of the Boston Temple we liked one that was vertical best. It still turns out way cute. I can send you a pic if you like. Thanks again!! Hi Kelli!! Yes, I do. Can you shoot me an email at: [email protected] and let me know if you would like it without or without the words “I’m Going There Someday…” Thanks! Can you make this with picture paper?? I ordered pictures from shutterfly to do this without reading carefully that you used inkjet regular paper!! Silly me!! I made 2 one small and one bigger. They both came out well. I wouldn’t recommend touching the photo paper until dry. I had one little scratch from my nail and the color came off. But it was so small I took a marker and fixed it. No one can tell! thanks for all you do!! You should include a list (without pictures) of the temples for people who are using this project for Relief Society activities. I just spent a long time copying and pasting all of the temples so we could have people sign up. Here is my typed list if you want to use it or I can email it to you. 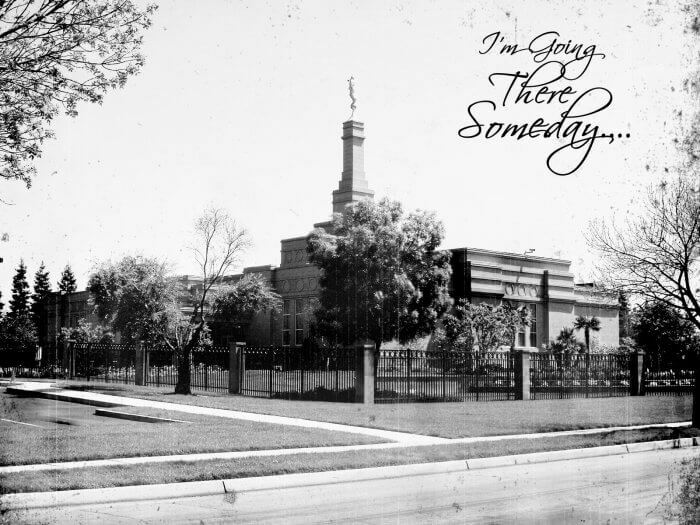 DO you have a picture of the reno nevada temple? They are adorable. Hi. These are so gorgeous. 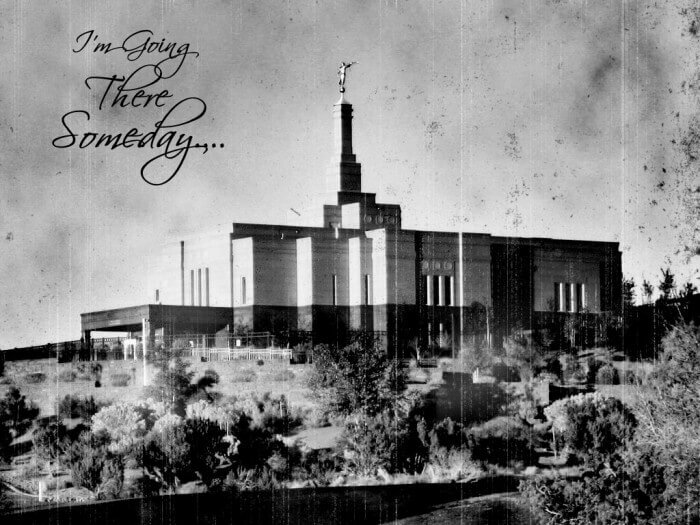 Do you have one of the Gilbert Arizona Temple??? If so I’d really like one. 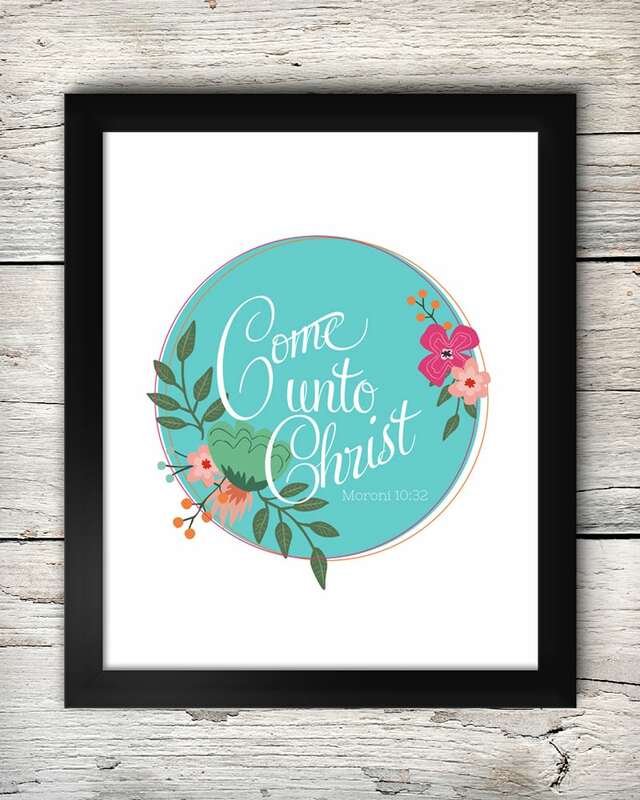 My little one is getting baptized and thought this would be a neat gift for her. Thanks! Not yet, Iris. Once the temple is built we will take pics and antique them… right now there are only artist renditions of the temple and we have to have their permission to edit their pics. 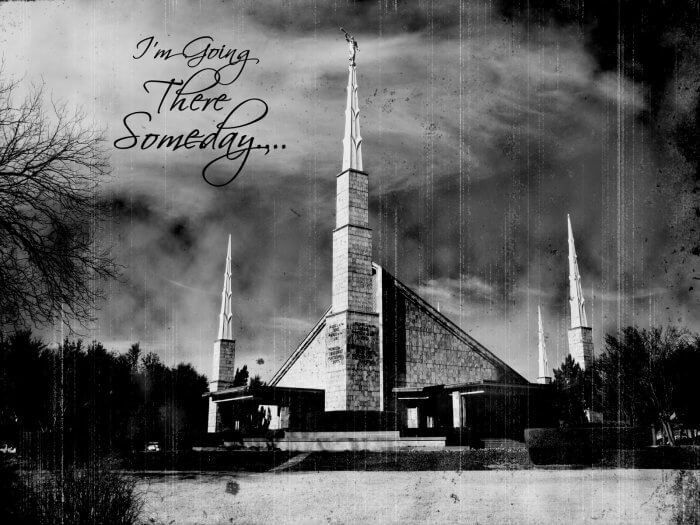 would you be able to do one with the Toronto Ontario Temple? This is such a fun idea! I love it!! My sister is on a mission in Guatemala and I would love to make one for her of the Guatemala temple to have when she gets back. 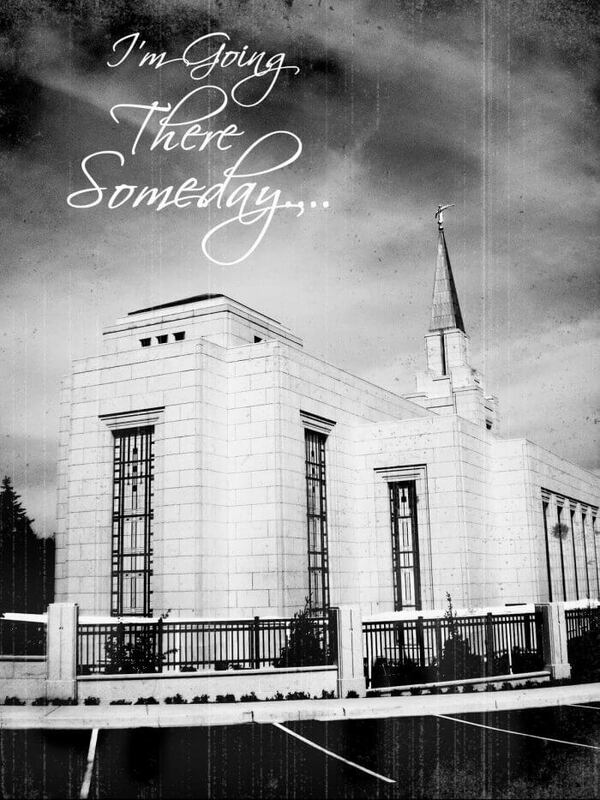 Any chance you’ll be posting a picture of the Guatemala Temple in the future? Did you get a picture? I’m doing this activity for RS this week, and one of the ladies served a mission at the Palmyra Temple and would love to do the craft with that picture. Would you be willing to send me the antiqued picture if you got it? Can you send me a copy of the Mt. Timpanogos picture without the words? My little sister is gonna be 12 soon and I think this wud b a cute birthday gift for her 🙂 ….but where do u find the wood block? really interested in the pics without the words, but for some reason it’s not available…?? was going to try this for YW but can’t get the link for the photos without the writing to work…help! Hi! We are doing these for our Super Saturday in September and I wanted to think you for all your hard work and for the great inexpensive idea.! 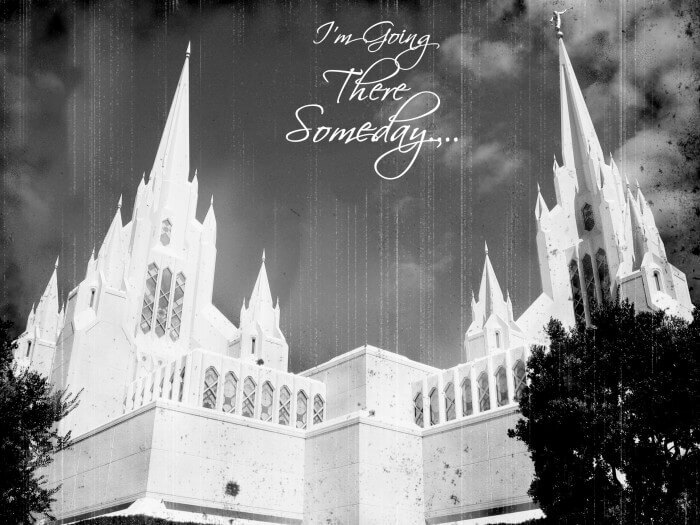 I was going to print out the Salt Lake Temple to make a demo for sign ups but for some reason its listed but the picture is not above it.. Is it still available? Thanks. 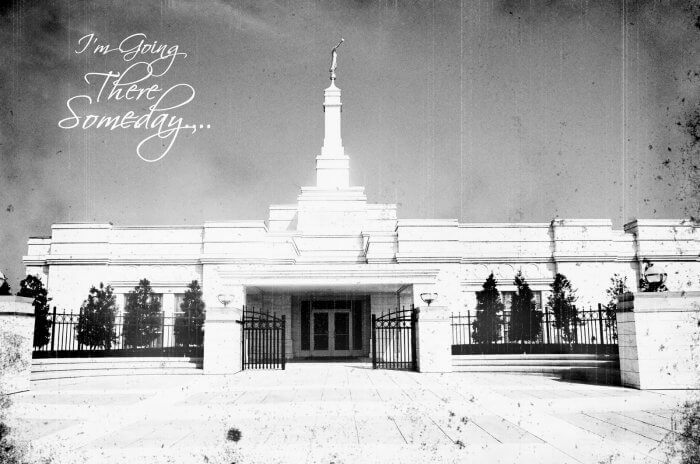 Just curious if anyone has sent in a copy of our new Brigham City Temple? I LOVE this! Amazingly beautiful! If you have a photo you might be working on already, great! If not, let me know…. I’ll see if we can get one sent in. Does it have to be black and white or colored? Thanks! I saw something like this in my mom’s ward in Las Vegas. I was so jealous and now, with your help, I have the means to create one for myself. THANK YOU! Hi!! We want to make these at girls camp, two girls picked Salt Lake, I see it listed there but I’m not seeing the actually picture…could you email it to me? Thanks! Super cute!!! I would love to do this craft for our mid week activity. Do you have a picture of the Salt Lake City Temple? I am also interested in a picture of the salt lake temple. Thanks! Hey, I see that the Salt Lake City temple isn’t on this site. Is that one that you can email me? We live on Guam and I just got called to be the Additional meeting coordinator with a big fat Super Saturday in 2 weeks. 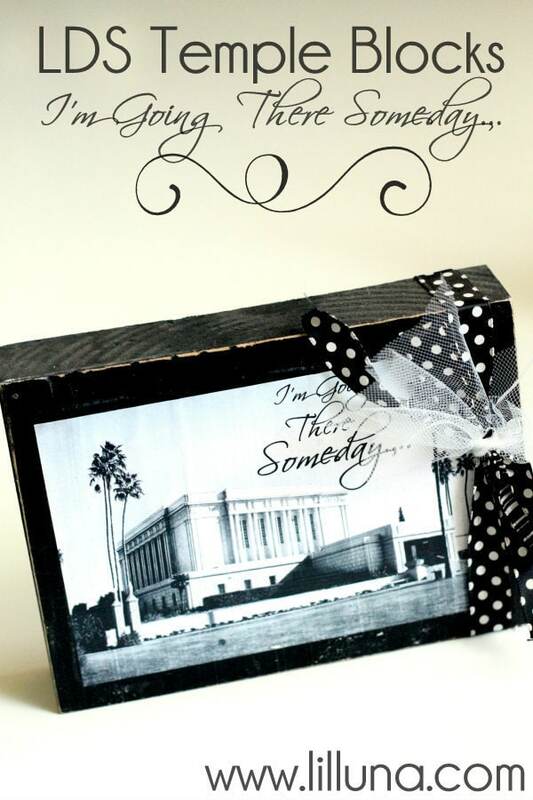 I love this simple craft and can get most of the items that I need so that we can do this as our craft but I have a couple families that have requested the Salt Lake temple. Any help would be appreciated. A big, huge, gigantic, thank you! Thanks to you and your husband for sharing your creativity. I am making handouts for YW in Excellence, you’ve make the process so incredibly easy. I’m taking a stab at the Arise and Shine Forth blocks…..but I’m loving the temple blocks too! Your work is appreciated!! 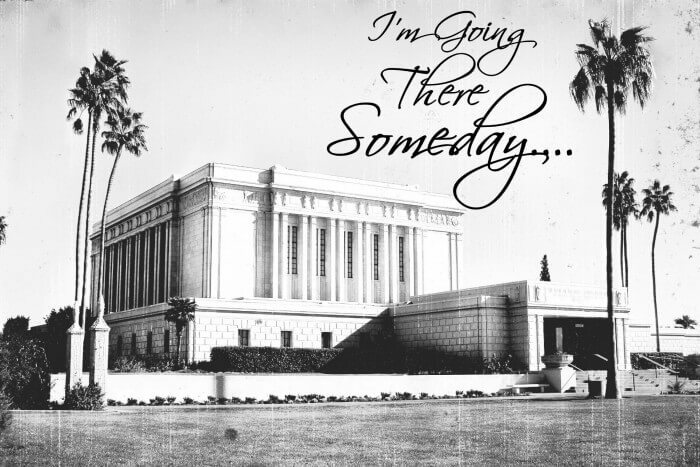 Hey I was wondering if you have an antiqued picture of the Los Angeles temple. Your list at the beginning of the blog says you have antiqued the Los Angeles temple, but I can’t seem to find the picture. If you could get back to me I would greatly appreciate it. I am hoping to make them for the YW in my ward. I LOVE this idea. 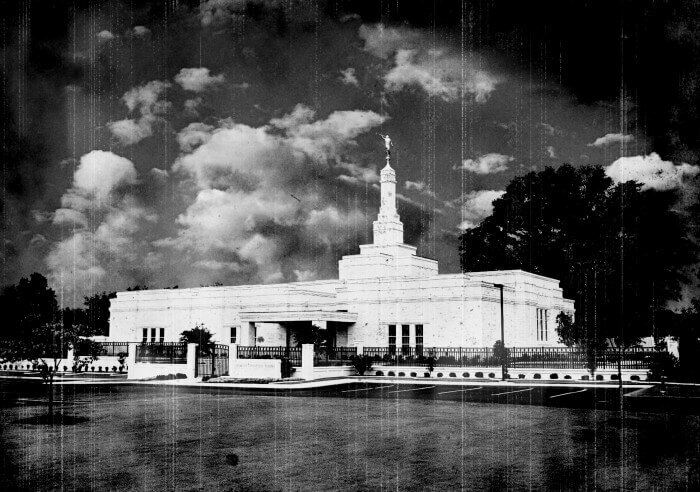 Is it possible to get a picture of the Columbia, SC Temple? I would love to do this as a craft for girls camp this year. Thank you so much for sharing. I like the Temple blocks. It would be great to have the choose of the picture with the saying “Families are for Ever”. 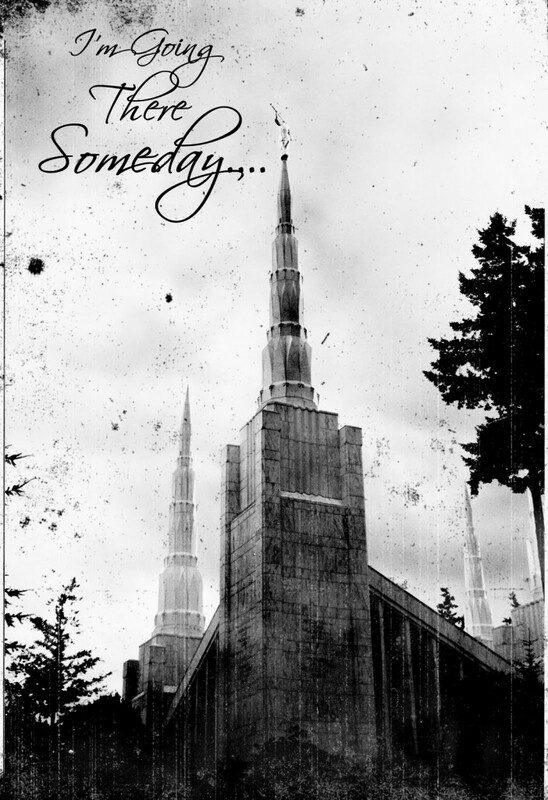 My niece was sealed in the Seattle Temple and I thought it would be a nice little gift to give her family. Can you please do the Bismark North Dakota? 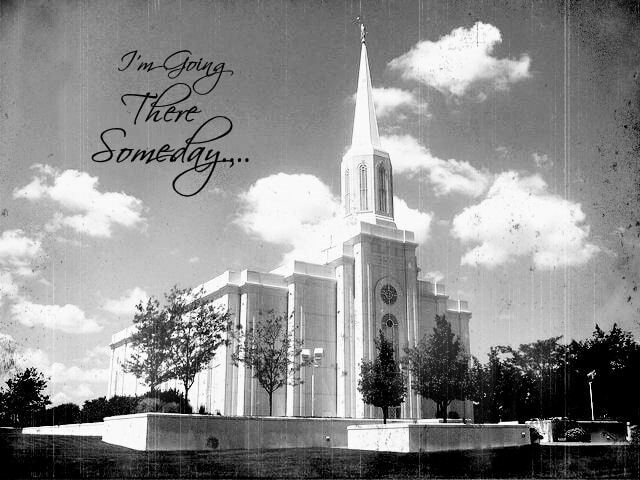 I’d like to make a block of the Houston, TX temple, but the photo is not the correct temple. Just wondering if you would have time to antique and re-post that temple? 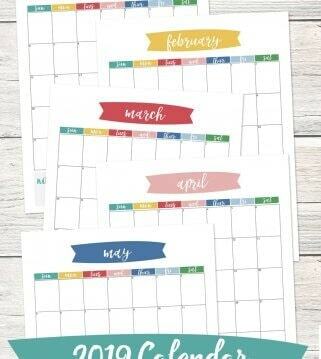 Great idea – so excited to make a few!! 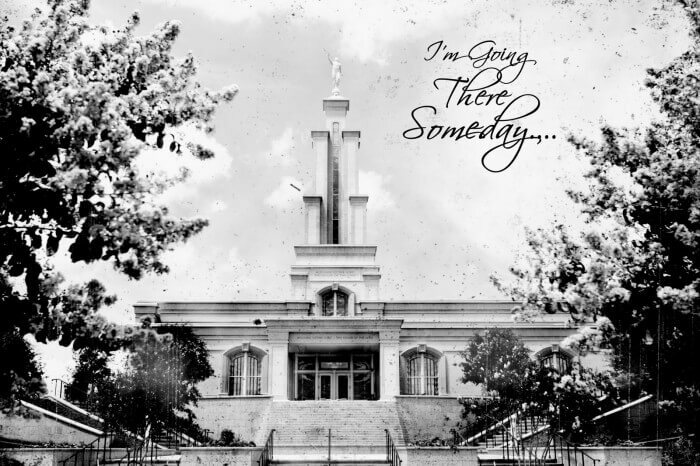 Just noting that in the “Stand Ye in Holy Places” link the Houston picture is correct, but I’d like to use the “I’m going there someday” Houston picture., and its not correct there. Sorry to be a bother. Love these! I want to have my Activity Day girls make them. One question though: Did you print your temples on plain paper or photo paper? Thanks! “I’m going there someday” blocks are adorable! 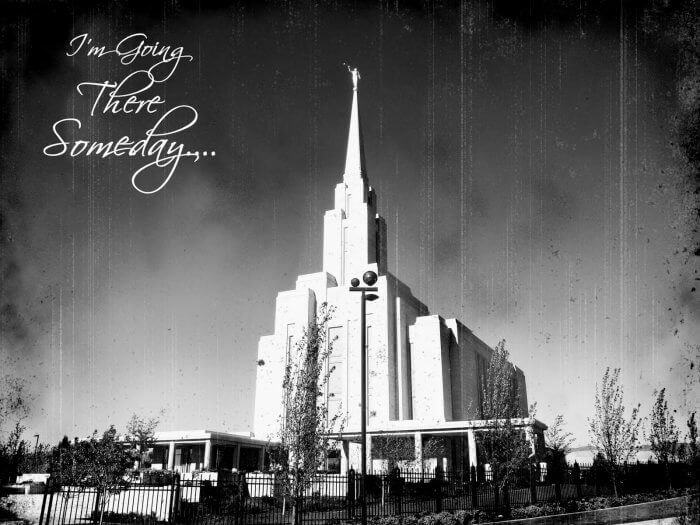 Is there anyway to add Brigham City, UT temple to your list? It would be a perfect craft for our young women! How did you get the picture to lay flat after the mod podge? 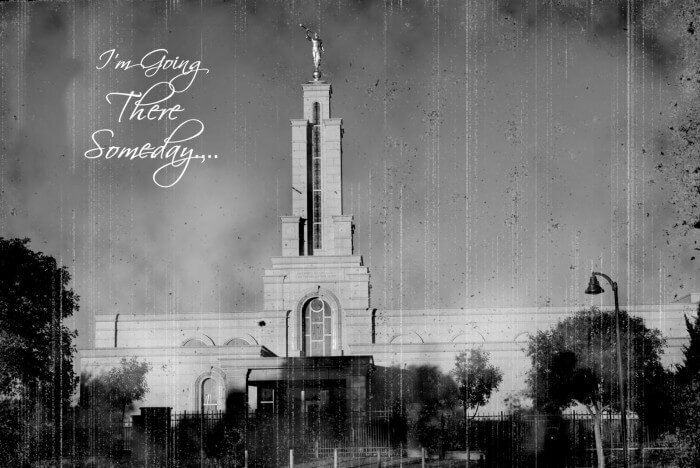 I made one for the Manhattan temple. I live in New York, it turned out great. I can send you the file if you want. such as a cube where each face is dimpled inward – these would be difficult to come by. bathroom renovation manhattan PV systems can utilize sunlight to make electricity. Just wondering how big the blocks are and how big the print is? thanks! I was wondering where you got the prints! I have been looking to have one from the Madrid Spain one, but just can’t find it! By chance have you added any more temples to your collection? 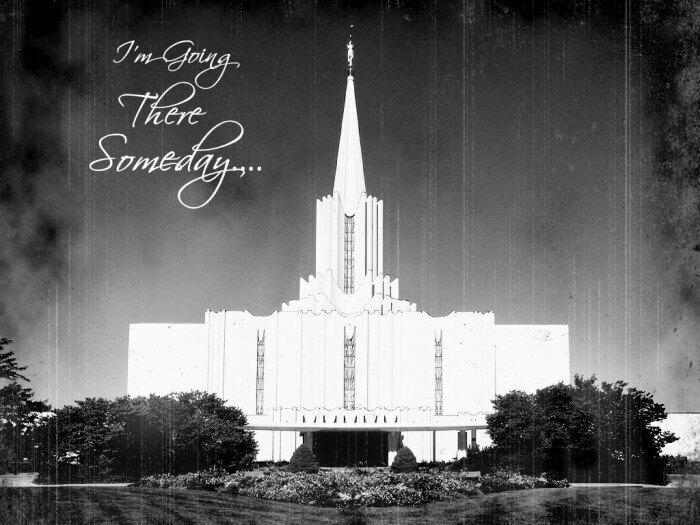 I am in search of the Monticello, Utah temple! I will be marrying there next year and would love to have this for our home! 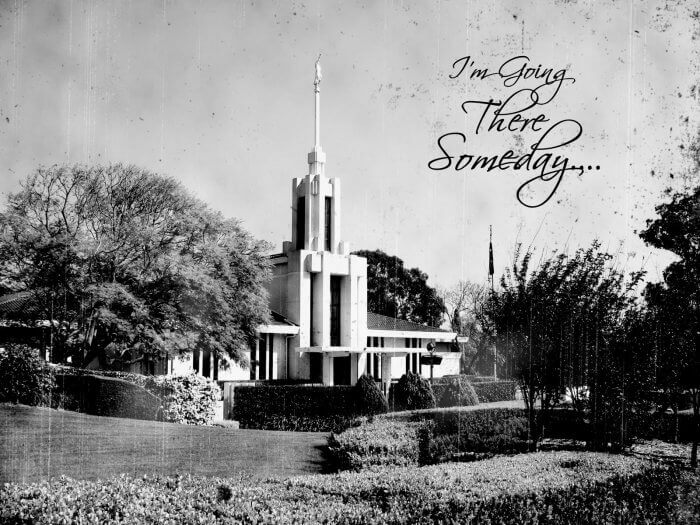 Do you have the Gilbert Arizona Temple? I am hoping you will have it before this Friday, I hope, I hope…please, please, please. Thank you. I love this idea! 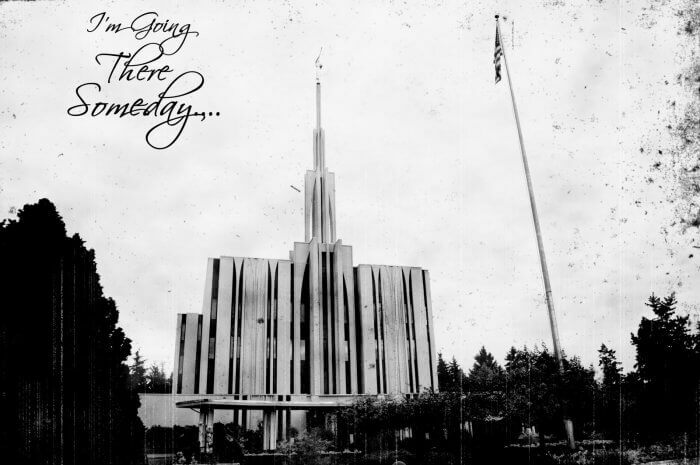 I actually used the picture of the Portland temple for an invitation to our temple prep class, it was so cute! So naturally when my mom mentioned that she would like to give a small gift to the young women she has been working with as part of her mission in the Dominican Republic, I thought of you! I wonder, if we sent you a picture, would it be possible for you to do this for the Santo Domingo temple? I don’t know how difficult the process is, but I thought it couldn’t hurt to ask! My parents are finished with their mission the beginning of October, so if you could let me know quickly one way or the other that would be awesome. Thanks for being so crafty and sharing your ideas, I love your blog! Hello! We’re doing this at our ward Super Saturday and I have a sister that wants to use a Raleigh, North Carolina Temple. Do you have that image or know where I can get it? That would be awesome. My email is [email protected]. Thanks! 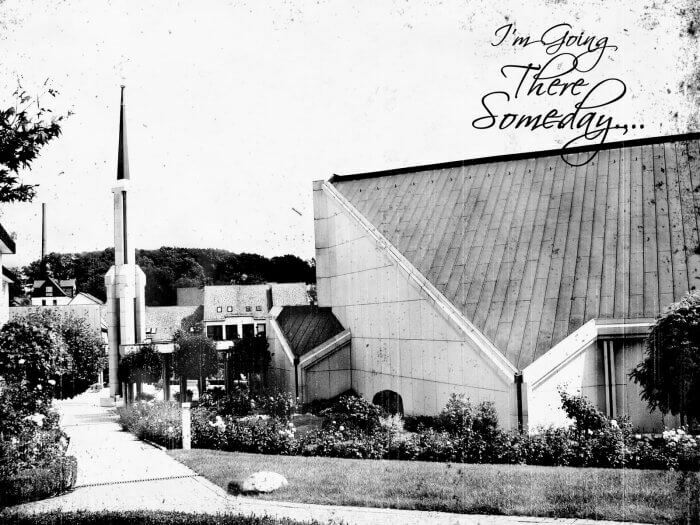 I like the font you used for “I’m Going There Someday…” Could you tell me the name of the font and if it is available for download? I was just wondering if it was better to print the pictures on regular paper or card stock? nevermind! I read where you answered that already. Thank you. I made this a year ago (using and 8×10 canvas I found at Hobby Lobby for 2$ instead of a wood block – just easier for me) and it is so cute. We are now doing this for enrichment and I have had so many ladies excited about it. I am so glad this is still up and I was able to find it again. Thank you for sharing all the temple pictures! 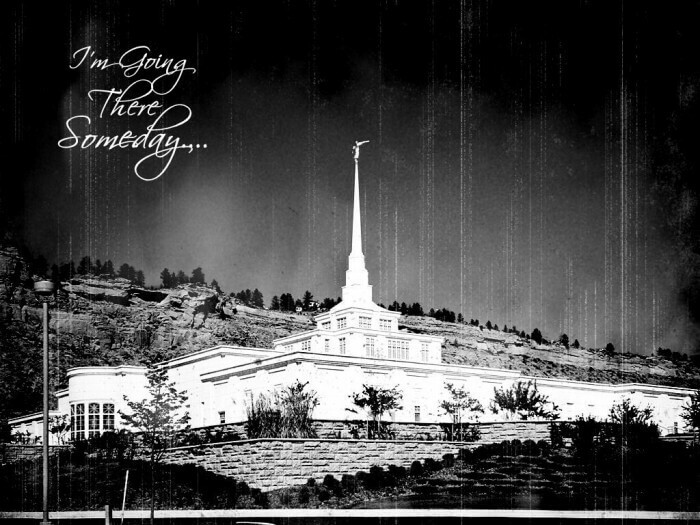 By any chance would have a Brigham City temple available or are you working on one? We are making these as our Christmas gift for our young women and we have 2 girls that have a special connection with this temple. We will be putting these together in the next few weeks. We have just recently moved to Minnesota and would love to do this in activity days, but there isn’t an image of the St. Paul/Oakdale MN temple.is there anyway I could get one so we can do this activity? Hi! I know you did this so long ago but my girls would love the Raleigh temple! Are you still making new ones? Thanks so much! Unfortunately, I do not have the Raleigh temple pic yet. 🙁 Sorry! 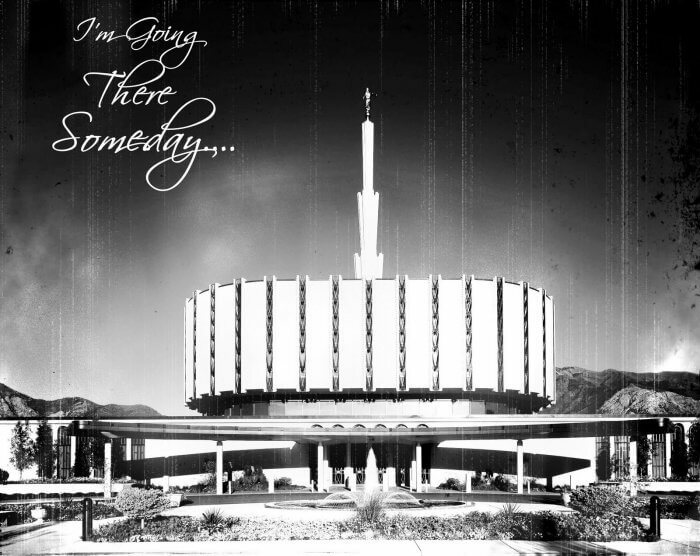 Any chance you could add the Sao Paolo Brazil temple? THANK YOU for this, Luna ! This is fantastic, and thanks for the link ! You’re too cute, Emily! We miss you guys!! The font is: Scriptina… it’s one of my favs! Love these temple blocks!! 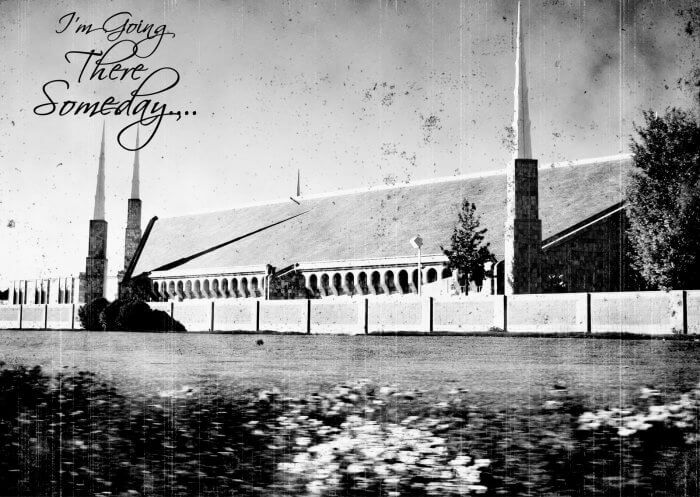 Do you have the new Gilbert Temple? I would love to do these with my Activity Day Girls with the new temple since they will all be going to the open house in the next few weeks. Kristyn, I’m an Activity Days leader in my ward and I’m SO excited for this month’s activities! My theme is “Testimonies, Temples & Tiaras”! 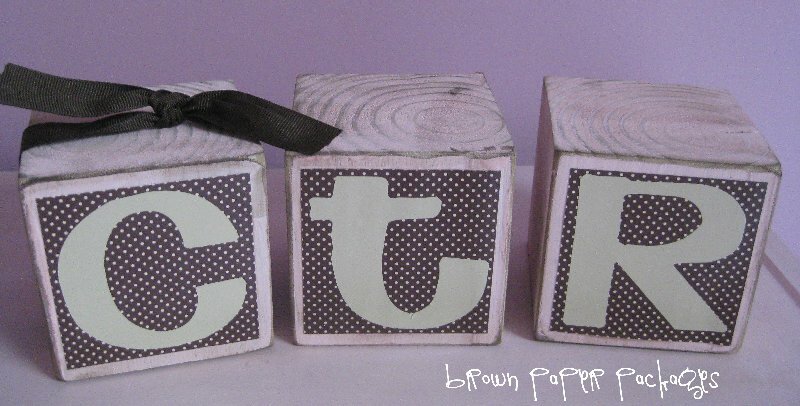 We’ll be making your darling temple blocks at our second activity this month. I probably haven’t dug deep enough to find details but I’m wondering if you mounted the picture to the block with adhesive only or if you actually finished the block with a modge podge like finish over the top. We have 25 girls and 1 hour!!!! Just trying to negotiate prep and ready time vs actual activity time. Thanks so much!! These are gorgeous! 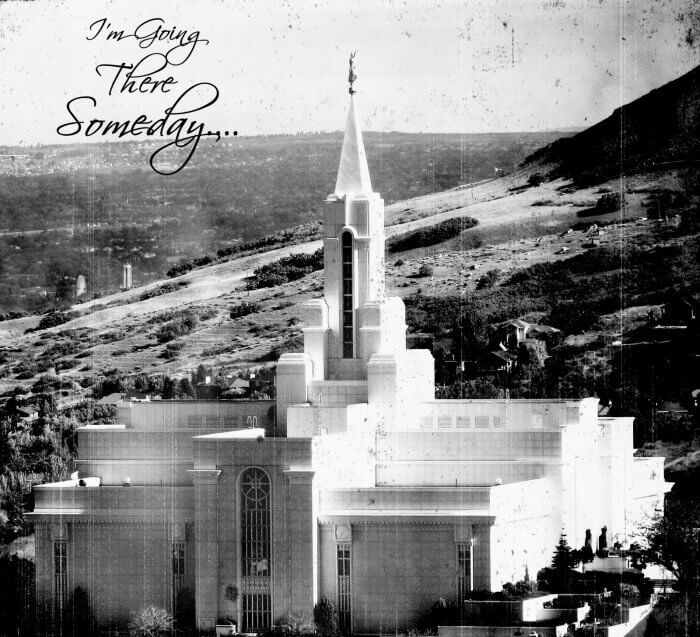 I’ve printed a bunch of different temples beautifully for my activity day girls except the Idaho Falls Temple. If I print a 4×6 it cuts off “I’m going”. Is there anyway you can help me with this by lowering the words ASAP? It’s Monday night and our activity is Wednesday. LOL, Thank you so much!!! 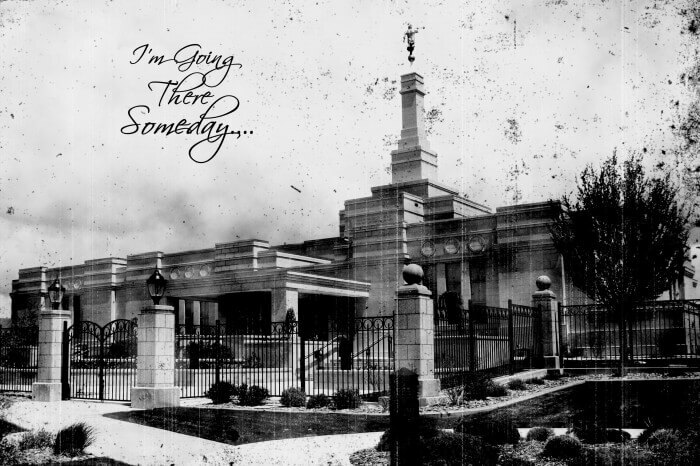 I’m just wondering if you are planning on getting an image of the Gilbert Temple?? Thanks! Yay! I was just checking to see if you had the Gilbert Temple. Can’t wait…Thanks!! These are amazing! Thank you for sharing! Just wondering if you happen to have one for Gilbert or Phoenix yet? If not, Mesa works:) Again, thanks! Hi just wondering if you have the Phoenix temple? It is completely built, but the open house isnt until mid October. I’m wanting to make some at an Enrichment night right around the same time. Would you be able to have any then? Thx! I live very close to it. If I take a picture this week, how should I submit it? Would you be able to have it ready in a few weeks? Do I have to have a special camera or any picture will be fine? Thanks! I have a picture now. What email should I send it to? Hi! 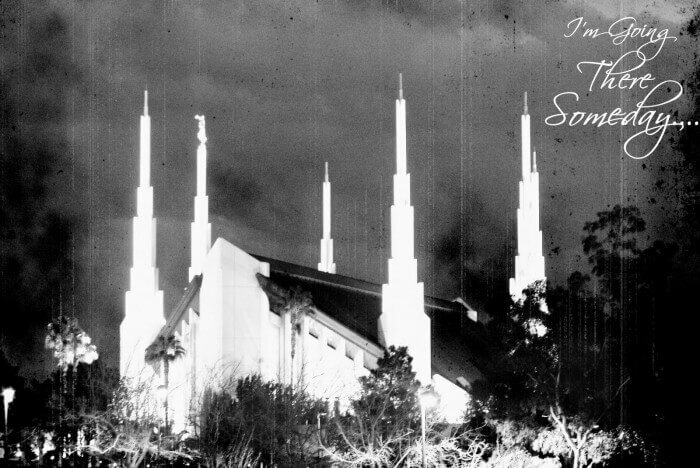 Thanks so much for doing these temple pics — we are using them in our ward and SO glad we could find them. However, one of our ladies wanted the Memphis Temple with “Standing Ye in Holy Places” on it, and I can’t find that picture on your site — there’s a spot for it, but no picture. 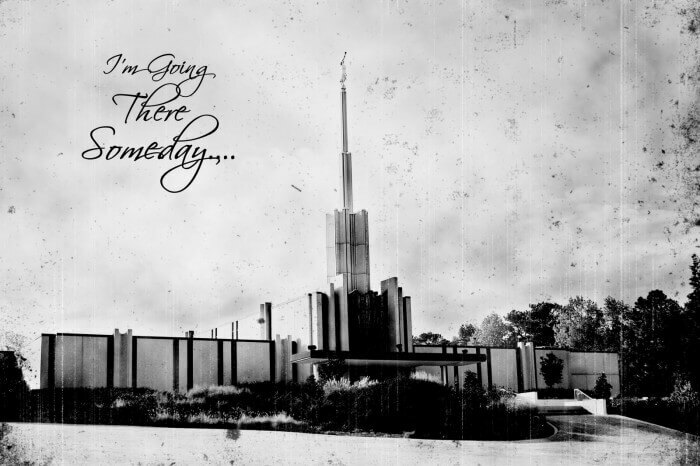 The only picture I can find of the Memphis temple has no words on it. Is it possible to email that to me? We are doing these blocks for our YW this year. 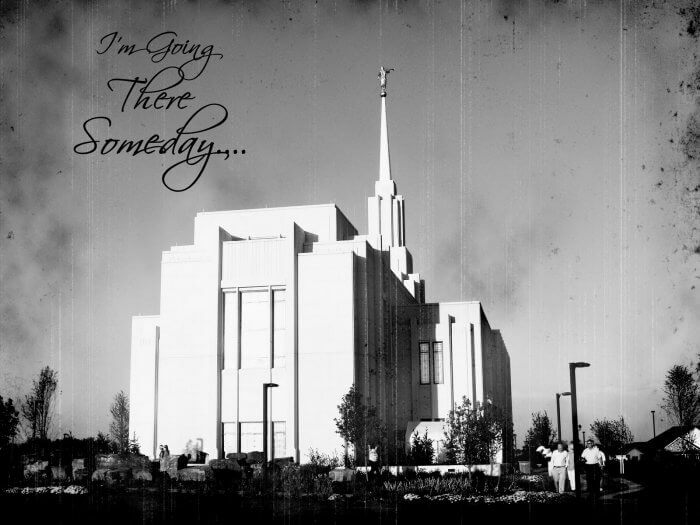 We live in the Ogden area and are wondering if you have the new Ogden temple with I’m going there someday. Do you know what font you used for the wording??? I just want to Thank You for your site, these Temple Blocks are AWESOME! I really appreciate for handwork, time and effort. Thank you also for making these free to use. I love this! 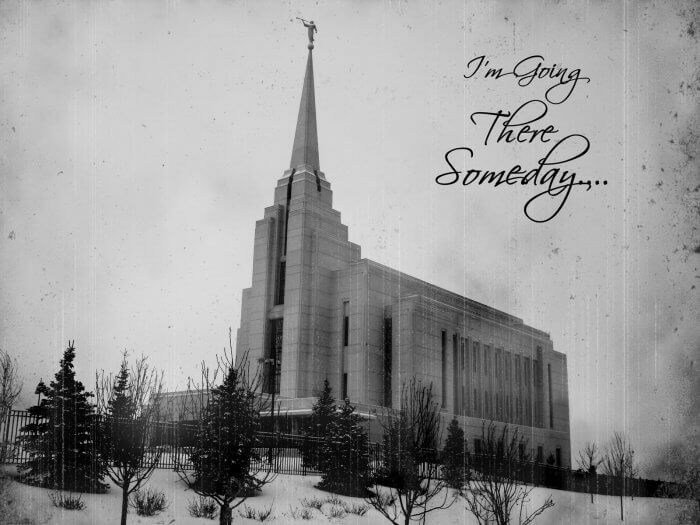 Any chance you’ll be adding a picture of the Stockholm Sweden Temple? I have an exchange student and would love to have her have a picture of her own temple! I love these projects! You have a great collection of temples….one mistake…the temple you have listed as the Houston, TX temple is incorrect (note the flag in the photo is British I think??) I just moved to Houston and wanted to make this craft for my girls’ room. 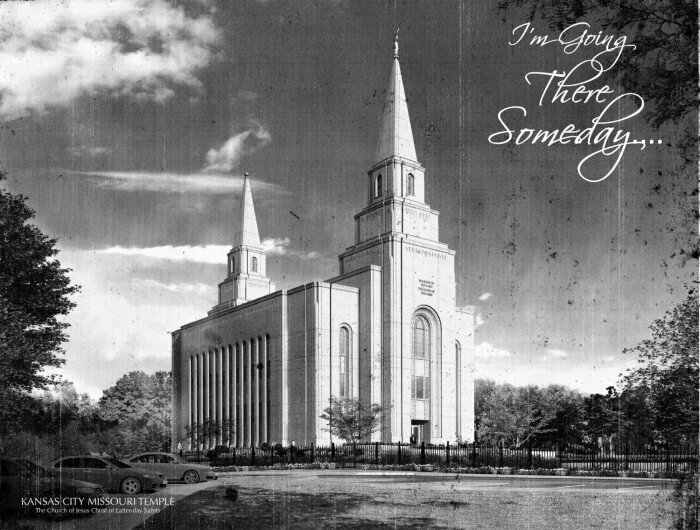 Hope you can work your magic with an actual Houston TX temple photo and I would be interested to know what the temple currently listed as Houston actually is. 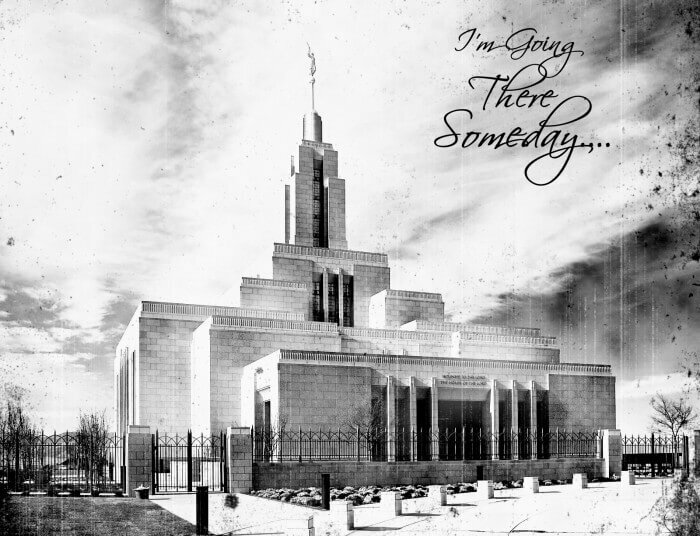 I just clicked on the link to the temple picts with no words and found the correct pict of Houston, TX…so it’s just the pict that has the words. Thanks a bunch for compiling all of these! What a blessing for so many crafters!! Oh, my! I have made these Temples for my Mesa Activity Day girls for 2 years now. I never knew they were to be credited to you! I just grabbed a copy of a friends who got it from a friend in Mesa! 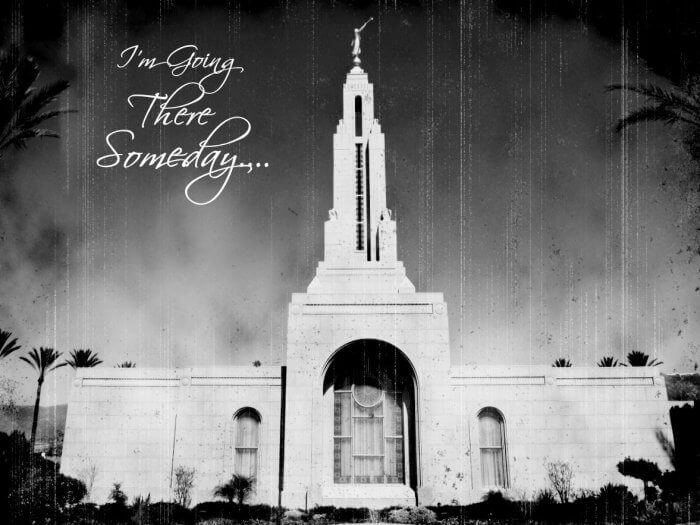 I wanted to tell you what I did, I took my sweet activity day girls from their sweet dreams one early November morning and went to the Mesa Temple for a PJ picture in front of the Temple. We ate breakfast at the nearby Denny’s next. The girls loved it! Then I “glued” their pictures to one side of the block and they “glued” the Temple to the other. Cutest thing! They were looking at the Temple all lined up in a row and I snapped the picture! DARLING. Thank you! 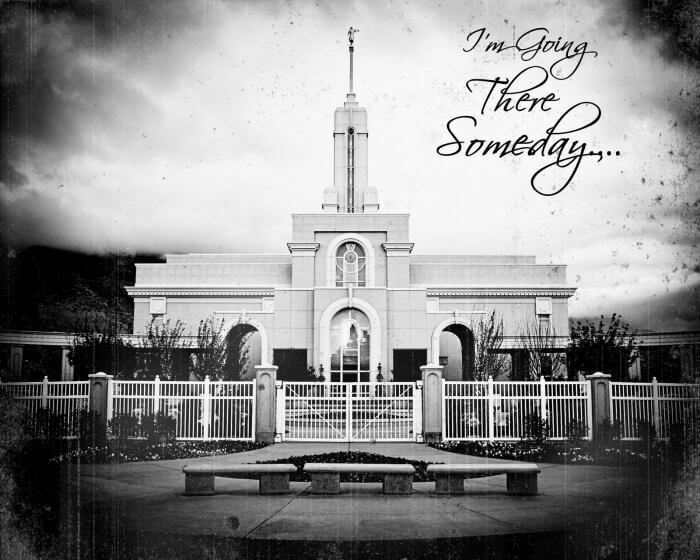 Any possibility you could have the Temple pictures without the “I’m going there someday”? I would would love to give it to my niece who just entered before her mission. I love this idea! 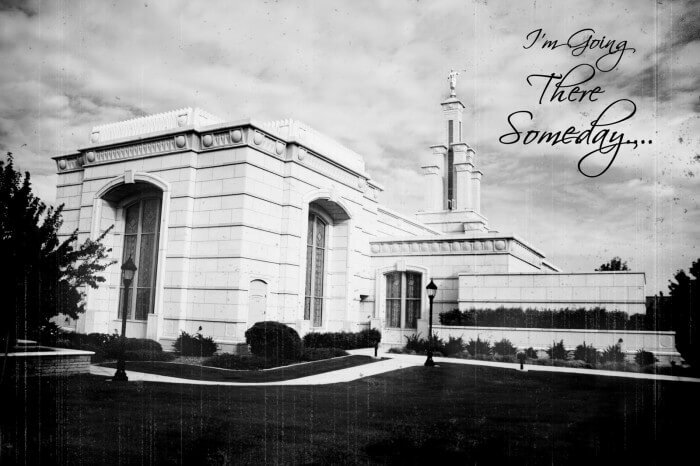 Would you be able to make one for Toronto Temple with the words? It will be greatly appreciated for your effort 🙂 The link below is the picture. I can’t wait to make these with our Young Women here in Little Rock, Arkansas! When I asked all the girls what their favorite temple was and one said the Washington, DC temple. Is there any way I can get that temple? Thank you!! I love these! I really want to make one and possibly use it for a Relief Society activity next month. 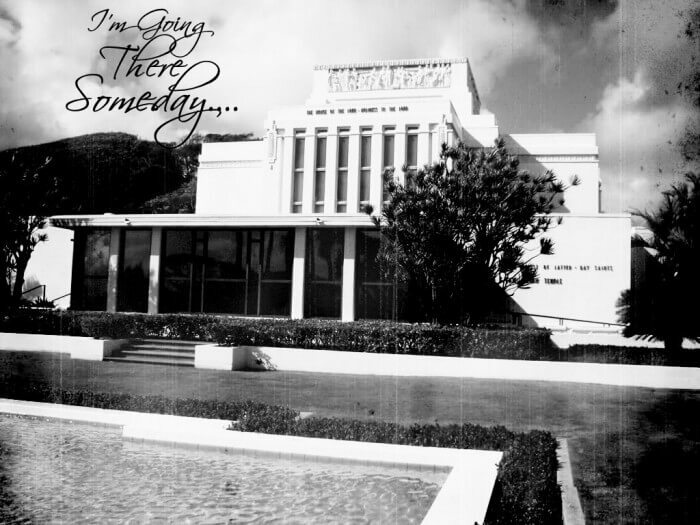 I’m in New Zealand and the photo you have as Houston Tx temple (with writing) looks exactly like our temple here in Hamilton. I’d really appreciate a copy of that picture without the writing if you could possibly send it to me? Please?! I had a look at the photos you posted without the writing and that picture isn’t there. I wouldn’t usually ask, but I love your idea. Thank you either way! What is the best paper to print these on? Just regular printing paper works just fine 🙂 You could probably use whatever you have on hand. Hope that helps!! 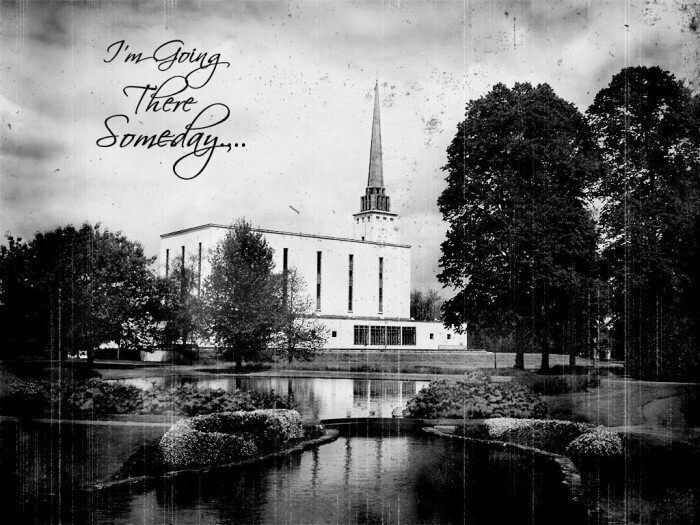 I would love to have a pic of the Nashville Tennessee Temple! This was one of my earliest posts 🙂 I’ll need to add some new temples on there! 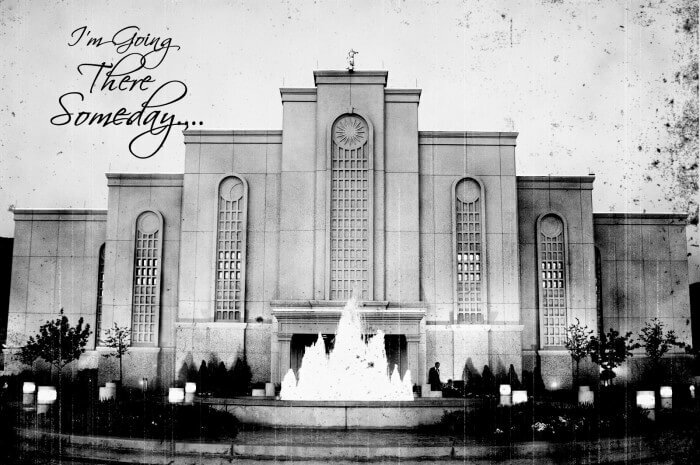 Any chance you have one for the Provo City Center Temple? I have the Provo temple, but I’m assuming that’s a different one? There are so many temples in Utah..hard to keep track! I need to have my designer make up some new ones. I’m trying to print these off for a YW activity and when I upload them to or try to print them as a 4X6 most of the picture is being cut off. Any suggestions??? Hello! I love this idea and would love to do it with my Activity Day Girls. We are in Meridian Idaho, and because the Meridian Idaho Temple dedication is this November, I thought this would be a great activity for November. 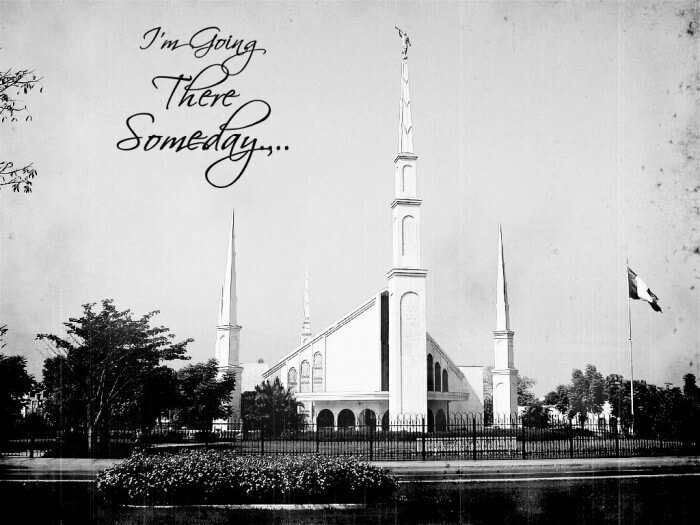 Is there any chance you could make a Meridian Idaho Temple picture in the next month so we could do that? We would be so super grateful! Thanks. Sorry. I should clarify. We would need it for our activity on November 1st. Thanks! 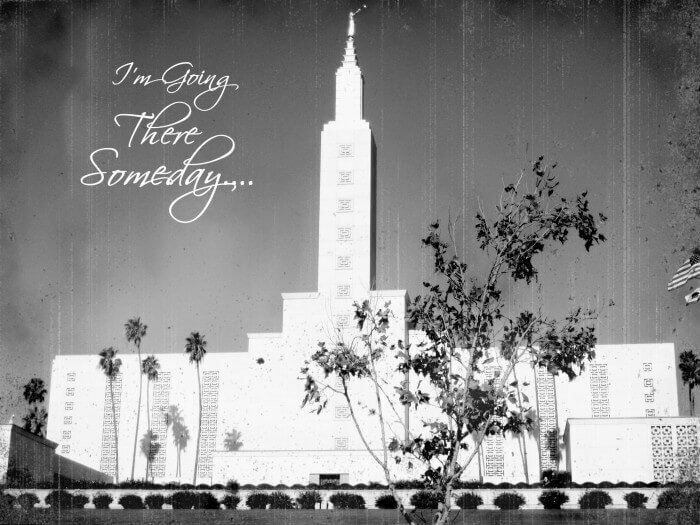 Can you do one for Tucson Temple? We haven’t done any new ones, this is actually one of my first posts. We may do some new ones in the future, but right now, we aren’t. I’m sorry! Hey, I commented a bit ago about wanting one for the Meridian Idaho Temple, and you replied that at this time you wouldn’t be doing more. So I made one with my limited Adobe photoshop skills, but it turned out great, and I did use one of your photos here to get the words to have the font just right and all. Only, mind doesn’t look as antique-y as yours, but let me know if you’d like me to send you a copy to include on here for others to have. Thanks! We are doing a young women activity. 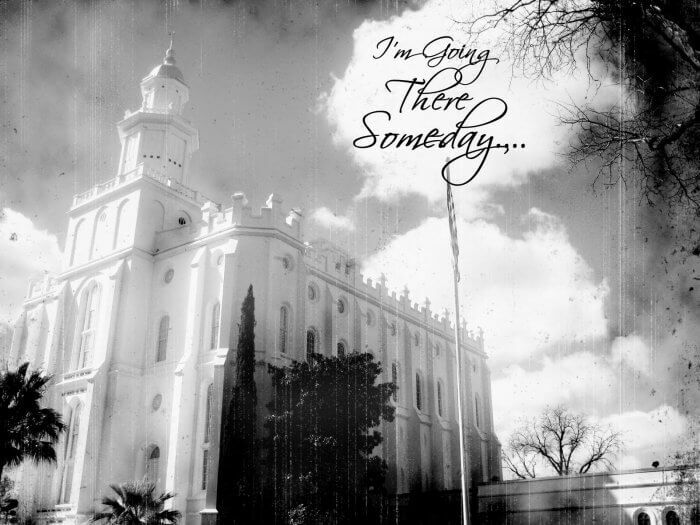 What would it take to get Cedar City temple and Payson? Hi! 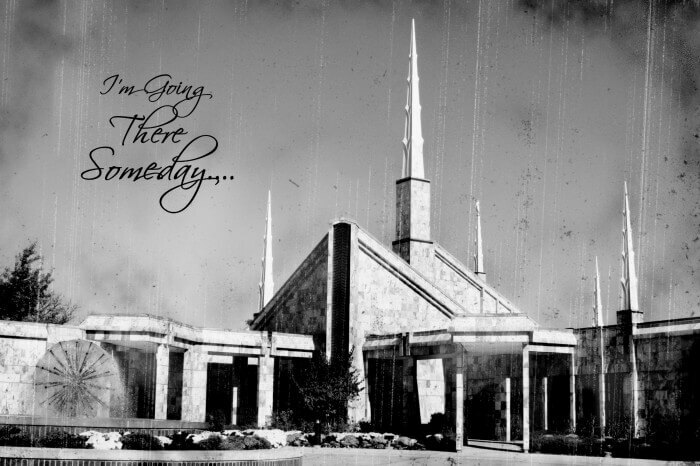 Your Houston Temple picture is wrong. I don’t know what temple it is, but it’s not Houston. Could you possibly update this? I’m in charge of crafts at girls camp and I think it would be great to make these, but Houston is our temple. Right now it has an even greater meaning to us since it is closed because it flooded during Harvey. I greatly miss it! Thanks! You are right, I’m sorry it is & I’m sorry, but we aren’t doing these anymore. I hope you can find a print somewhere. Did you search pintrest? 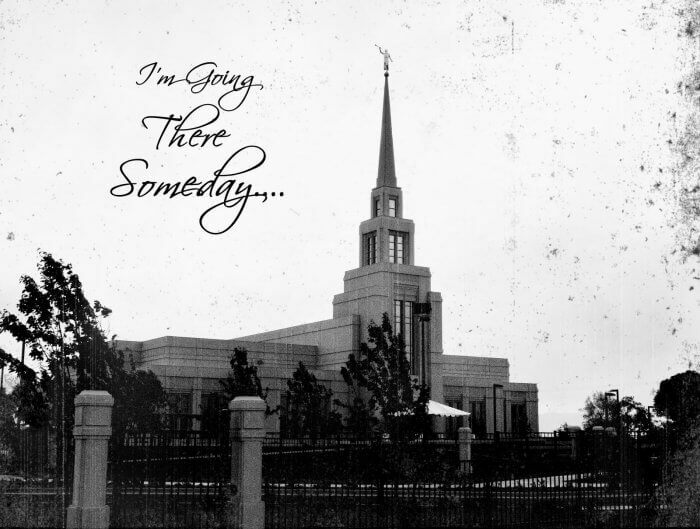 I really love these pictures you have done of the temples. 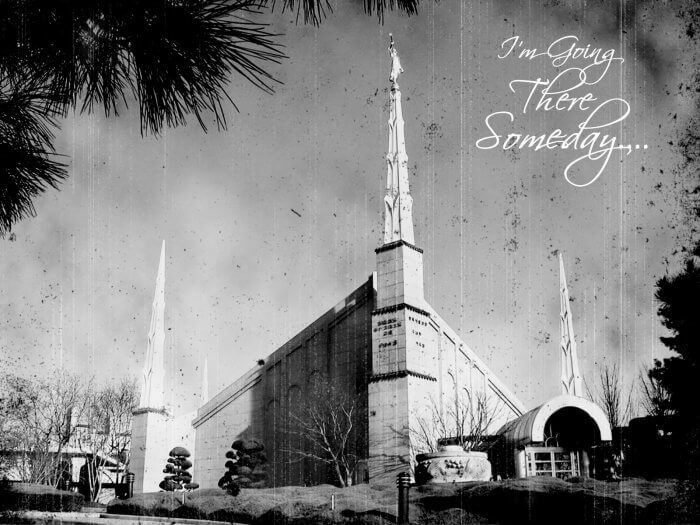 Could you do one of these lovely pictures for the Fort Collins, CO temple? Oh, I am so sorry, but we aren’t doing these anymore. Have you tried Pinterest?